We have confirmation today that the US Dollar is in a failed and left translated daily cycle and that the larger intermediate cycle is now in decline. 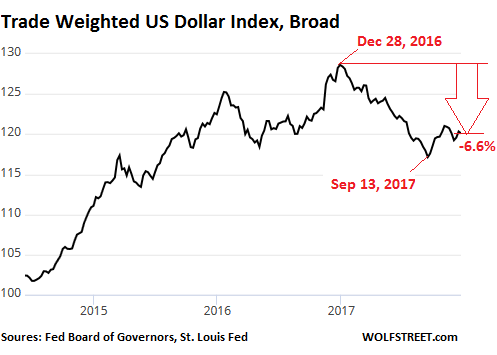 The dollar is in serious trouble and the Fed doesn’t even realize it. This post was published at GoldSeek on 29 December 2017. This post was published at Wolf Street on Dec 29, 2017. After yesterday’s ugly, tailing 2-Year auction, it is probably not a big surprise that today’s sale of $34 billion in 5Y Treasurys was just as ugly. 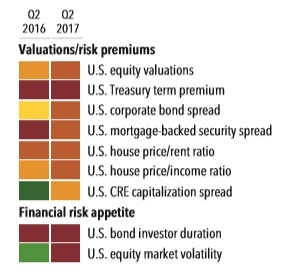 Where does Fed Chair Janet Yellen get her information on financial stability risks to the U. S. financial system? A key source for that information is the Office of Financial Research (OFR), a Federal agency created under the Dodd-Frank financial reform legislation of 2010 to keep key government regulators like the Federal Reserve informed on mounting risks. On December 5, the OFR released its Annual Report for 2017. It was not nearly as sanguine as Yellen. In fact, it flatly contradicted some of her assertions. The report noted that numerous areas were, literally, flashing red and orange (OFR uses a color-coded warning system) – raising the question as to why Yellen would attempt to downplay those risks to the American people. This post was published at Wall Street On Parade on December 27, 2017. Nobel Laureate Economist Paul Krugman said on November 8, 2016 that markets will never recover from the stock market decline that occurred on November 7th, the day before the Presidential election. This post was published at Wall Street Examiner by Anthony B Sanders ‘ December 26, 2017. This post was published at Schiffgold on DECEMBER 26, 2017. 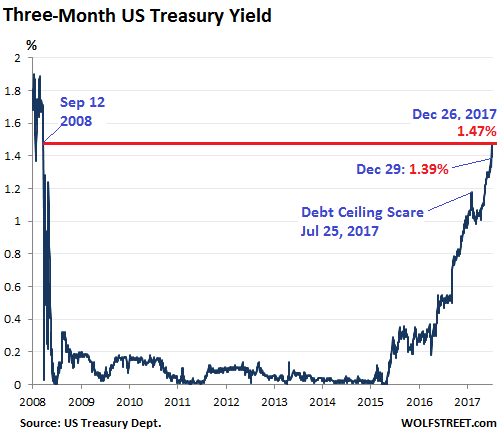 The last time the yield on a 2-Year TSY auction was as high as it was today – 1.922% to be specific, tailing the When Issued 1.899% by 0.3bps – was just a few days after Lehman Brothers failed, with one difference: back then it was sliding, while now the rate on 2Y paper is surging, up from just 1.21% at the start of the year, and up from 1.765% just last month thanks to the latest Fed rate hike.